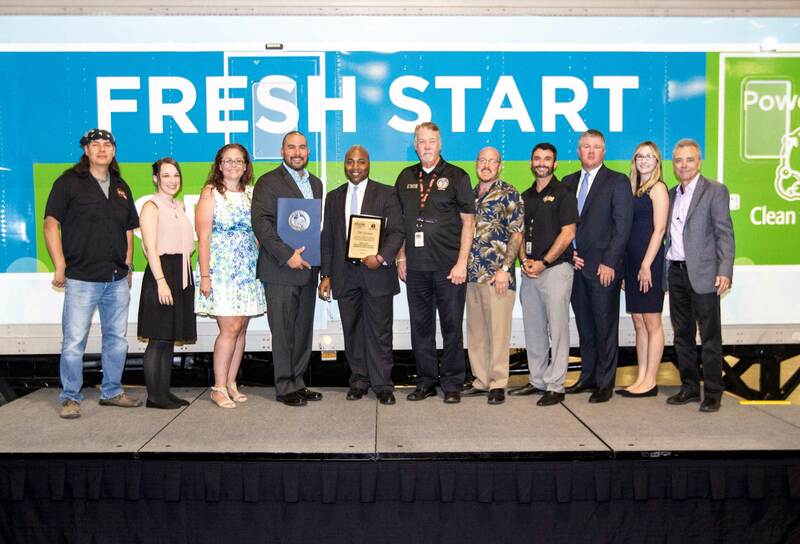 LAS VEGAS, July 28, 2017 /PRNewswire/ -- Las Vegas Sands Corp. (NYSE: LVS), and social enterprise Clean the World announced today a first-of-its-kind service in Las Vegas to help homeless people. The Sands Cares Fresh Start Mobile Showers Powered by Clean the World is a traveling hygiene unit that visits locations serving the homeless to provide showers, hygiene supplies and other resources. "Having access to regular hygiene is a fundamental part of good health and well-being. But it's also part of personal dignity – it can create a turning point in someone's life," said Shawn Seipler, founder and chief executive officer of Clean the World. "That's our hope for the Sands Cares Fresh Start Mobile Showers Powered by Clean the World – to give people the opportunity to start their day in a new direction." "Homelessness is a critical issue in Las Vegas, and Las Vegas Sands is dedicated to making an impact by providing resources to organizations working in the trenches to help people living on the streets," said Ron Reese, senior vice president of global communications and corporate affairs at Las Vegas Sands. "We've worked with Clean the World on a variety of programs to assist vulnerable populations with hygiene supplies, and the Sands Cares Fresh Start Mobile Showers came about through our collective desire to do more in the community to provide relief to people most in need." 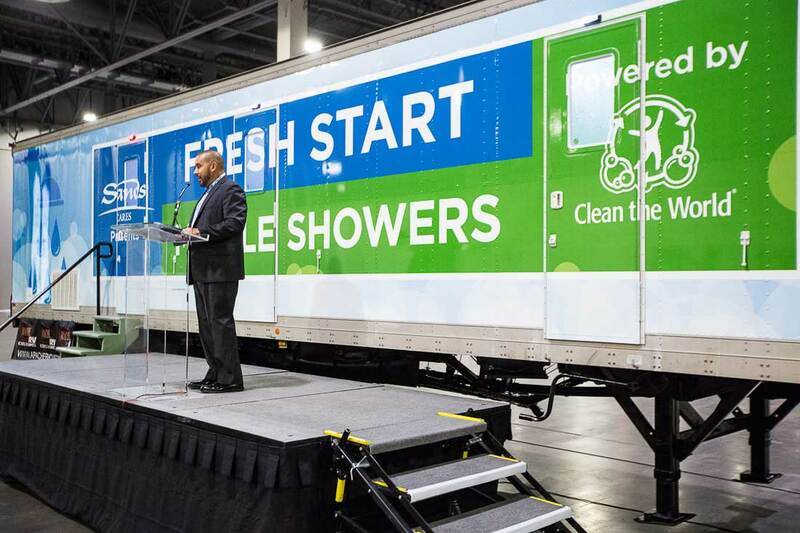 The introduction of the Sands Cares Fresh Start Mobile Showers is also a major expansion of LVS' long-term support of Clean the World. Since 2011, LVS and Clean the World have recycled more than 488,000 pounds of discarded soap and amenities for distribution to underprivileged communities and relief organizations. LVS has donated nearly $2 million to accelerate CTW's mission, helping the organization to double its production of recycled soap and expand service into new areas. Additionally each year, Las Vegas Sands team members around the world unite with local communities to assemble thousands of hygiene kits for Clean the World to benefit populations in need around the world, including those impacted by homelessness in Las Vegas. 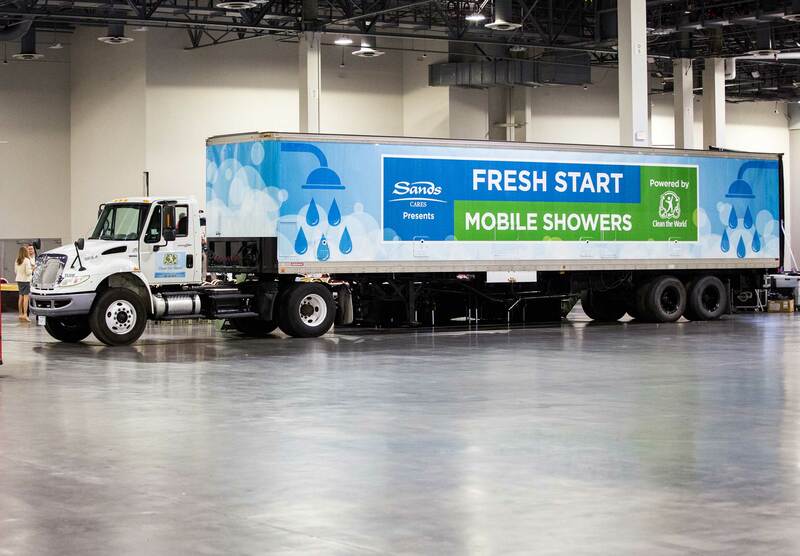 "The Sands Cares Fresh Start Mobile Showers Powered by Clean the World is a first-of-its kind offering for our organization, and we greatly value the investment LVS has made to help Clean the World expand and grow over the years – from this program to the major investment in our Las Vegas recycling center to ongoing kit builds and other programs," said Seipler. "With the generous support from Sands Cares, we have been able to help more people, in more places around the world, in more impactful ways – it's truly been a game-changing partnership for us." LVS is dedicated to being a good corporate citizen, anchored by the core tenets of delivering a great working environment for our more than 50,000 team members worldwide, driving impact through its Sands Cares corporate giving program and leading innovation with the company's award-winning Sands ECO360° global sustainability program. To learn more, please visit www.sands.com. Clean the World is a social enterprise dedicated to the mission of saving millions of lives around the world while simultaneously diverting hotel waste from landfills. Clean the World operates soap recycling centers in Orlando, Las Vegas and Hong Kong, and leads a "Global Hygiene Revolution" to distribute recycled soap and hygiene products from more than 5,000 hotel and resort partners to children and families in countries with a high pre-adolescent death rate due to acute respiratory infection (pneumonia) and diarrheal diseases (cholera) – which are two of the top killers of children under the age of five. Since 2009, more than 40 million bars of Clean the World soap have been distributed in 115 countries. In addition, the Clean the World Foundation provides hygiene kits to relief organizations throughout North America and over 5 million individuals have received soap and hygiene education through its programs. More information: CleanTheWorld.org.